on which we all can sip. Yesterday was the International Day of Charity and Susan hosted the Midweek Motif with the word ‘charity’. She asked us to write a new poem about giving and/or receiving some type of charity, using a favourite quote about charity if we wish. Posted in Poems. Tagged Charity, Midweek Motif, Poets United. 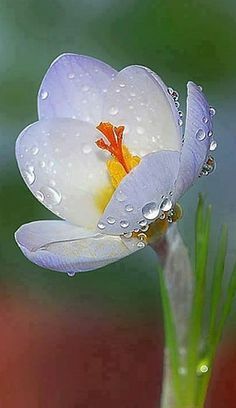 “charity is a dew-filled flower”…Indeed! Indeed!…a beautifully fresh image. If only we get there, to sip from the same flower in equality! Beautiful. How I LOVE the image “charity is a dew-filled flower on which we all can sip.” Beautiful! Charity does so much for one who receives as well as the one who gives. How beautiful your words were. I love the beautiful thoughts in this Kim!! A glorious write!! Sipping from that dew-drenched flower is so necessary! Charity begins at home. Indeed. We need examples in our lives. Charity should be integral to our being.